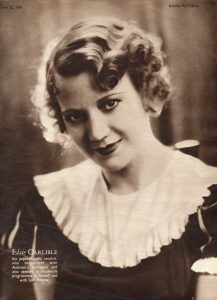 “The Daily Herald Dance Medley.” Selection from Elsie Carlisle (credited) singing “Snowball” (on Decca F. 3696). Dubbing session on December 7, 1933. Decca F. 3790 mx. GB6408-1. In December 1933, the Daily Herald newspaper announced a holiday season contest for its readers: The Daily Herald Dance Tunes Contest. Readers were to pick out 12 dance songs from a list of 28 as their “best programme of dance music.” A group of “experts” would arrive at their own ideal line-up of tunes, and whoever had mailed in a list closest to that of the experts would win a staggering £2,500 (in the event of a tie, the money would be divided evenly among the winners). As a commercial tie-in, two records were released with selections from each of the 28 songs, one recorded by George Scott-Wood and His Orchestra (“Dance Parade”; Regal Zonophone M.R. 1170), the other dubbed by Decca from records by its various artists (“The Daily Herald Dance Medley”). Scorecard: 3-8, 10-21, and 23-28 identified by Terry Brown; 1-2 by John Wright; and 9 by Peter Wallace. 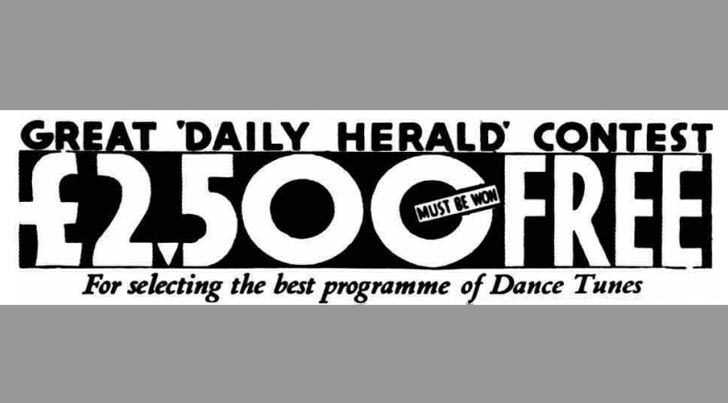 The original £2,500 prize was claimed and split in February 1934 by five winners whose ideal dance band programs matched those of the Daily Herald‘s panel of experts. The winning combination? 11. Who’s Afraid of the Big Bad Wolf? 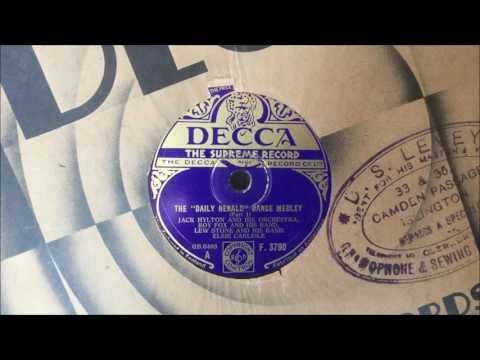 The Decca “Daily Herald” Dance Medley Record . However that’s not why I Stayed on the site . I wanted to thank you for beautiful cut and polished Jewel, which gave me much pleasure to view.